The world of Android apps is evolving so fast that most users are unable to keep up. 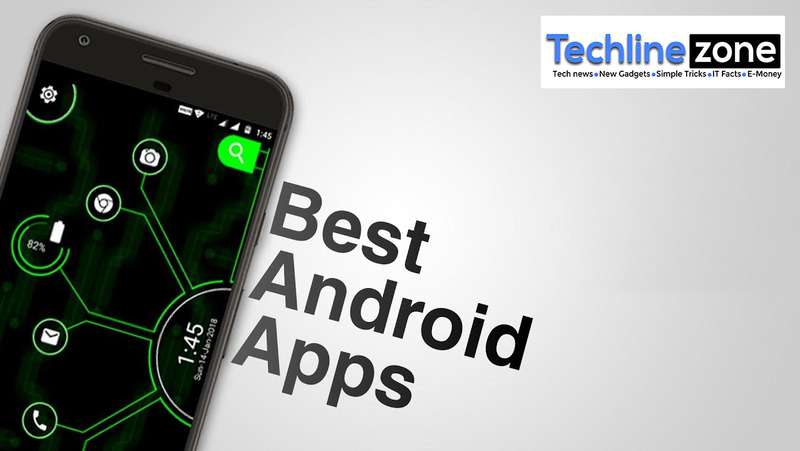 This is evident from the plethora of Android apps available on Google Play Store, with many more expected to hit the market. Although it is technically impossible to install every Android app on your device, you can always look to have the apps that can enhance your productivity and improve the user experience of your device. Here are the 5 must-have Android apps for 2018. This app is a must-have for your cloud storage needs. The cloud storage app is available to Android users, and new users are rewarded with a permanent storage of 15 GB for free. It is parked with a suite of Android apps that include Google Sheets, Google Docs, Google Photos, Google Keep and Google Calendar. The app has some awesome features meant to improve your productivity. Some of these features include deep sharing features, live collaboration, and compatibility with Microsoft Office. This powerful Android app is compatible with most Android devices. Upon downloading it to your Android device, you can ask the app virtually anything you want. The app supports a wide array of commands to help accomplish a myriad of tasks. With this Android app, you can work out simple math problems, control lights, and it can even give you population data of various cities. Its functionality can be enhanced using products such as Chromecast and Bose QC II. This is definitely one of the most versatile weather apps for Android. It features a simple design that shows the current weather conditions, forecasts, and fun stats. It offers customizable widgets and severe weather notifications alongside a radar, thus enabling you to figure out when storms are approaching. Its most notable feature is its minimalist design. This is one of the must-have Android apps for 2018. The free Android app is a simple, yet powerful app designed to help you keep your apps secure with passwords. This prevents prying eyes from accessing your private apps. It can be particularly useful if you have sneaky kids or roommates. The app is free to install but is ad-supported. There are tons of add-ons available through in-app purchases. This Android app is one of the most useful Android apps to have this year. It is designed to help you keep manage your emails by keeping everything updated and orderly. It comes with some nifty features that include support for multiple email providers, app theming, widgets, Android Wear Support and color coding for organization. The best feature has to be the support for most email services including Gmail, Microsoft Exchange, Outlook.com, AOL, iCloud, iCloud, POP3, and even IMAP. The app comes with some amazing customization features – simply put, it can do virtually everything you want with your email. The fact that it enjoys a 4.7-star rating on Google Play Store is a testament to the popularity of this app. If you want to try something new with your email client, then Blue Mail is the best option. There you have it! If you cannot get an off the shelf app to meet your custom needs, you can always hire an app developer company to build one for you.